This course is designed for students who are interested in a career in Hairdressing. Students will study and practise all aspects of women's and men's hairdressing tailored to meet the needs of the hairdressing industry. Students who successfully complete this course will have the necessary skills to pursue a career as a hair stylist, barber, or sales representative for hairdressing products. Other opportunities for graduates also includes employment in the media, and on cruise liners and airlines. Students on this course must purchase uniform and professional work kits as instructed by Cavan Institute upon course commencement. All examination and kit fees are payable on course commencement. Graduates of this course may progress to the Advanced International Diploma in Hairdressing course at Cavan Institute. Prior industrial experience will be taken into consideration. 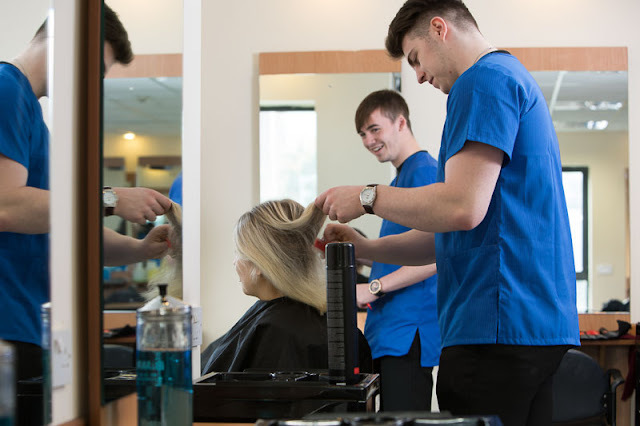 Entry to Year 2 is dependent upon successful completion to pass grade of FETAC Hairdressing Theory and Practice 5N3345 and one other minor programme from Hairdressing Year 1 course.